Young people from all over the UK have spent the last few months with their noses in a good book. They have been reading the latest historical fiction and giving their feedback. Yes it’s been the Young Quills competition time. The Young Quills is a historical literature competition that allows any new books of historical fiction published in the previous year to be sent to schools to be reviewed*by children. The schools report to the HA the books that the pupils have selected as their favourites to create the shortlist. There are two fixed categories for the Young Quills - primary and secondary and then depending on the nominations a free category if one or more books span the two categories or have created a special group of their own. Listed below are the shortlisted books for this year along with comments from the child reviewers. Over the next few weeks a judging panel from the Historical Association led by guest author judges will decide on the winners. This year’s guest judges are previous Young Quills winners Hilary Robinson and Martin Impey. 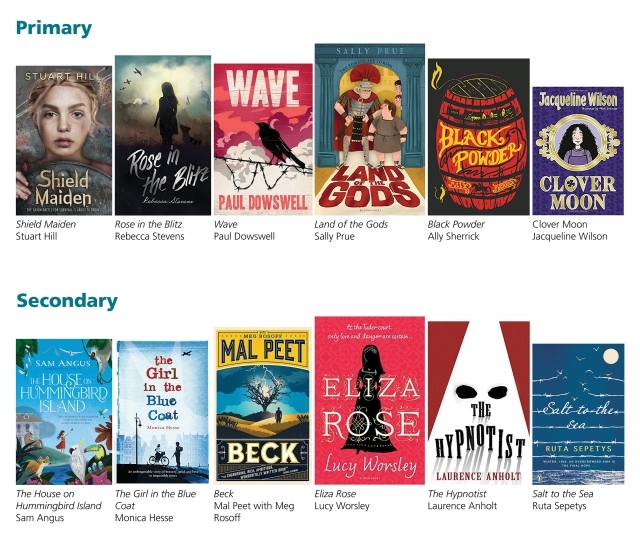 If one of the nominated books didn’t make the shortlist don’t worry – none of the books received terrible reviews and all of them will continue to delight young readers for many years to come. The winners will be announced 15 June 2017. *The books are provided to the Historical Association by the publishers and the HA distributes them amongst the registered schools. Please contact the HA is you would like a book to be included or to be a registered shortlisting school.